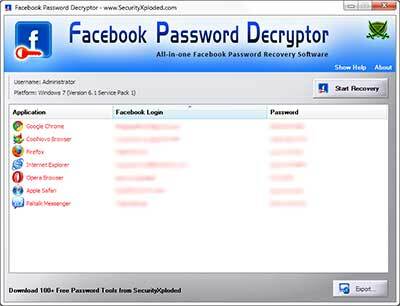 Facebook Password Decryptor is the FREE software to instantly recover your lost Facebook password stored by popular Web Browsers and Messengers. 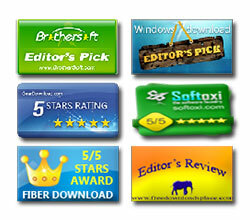 It is one of our most popular software with over Three Million Downloads worldwide. Note: Facebook Password Decryptor is not hacking or cracking tool as it can only help you to recover your own lost password that is previously stored in web browsers/messengers. Facebook Password Decryptor works on both 32-bit & 64-bit platforms starting from Windows XP to new Windows 10 version. Support recovering multiple Facebook accounts stored with any of the supported applications. Integrated Installerfor assisting you in local Installation & Uninstallation. Each of the above mentioned applications use their own encrypted format and storage location to securely store the Facebook account password. FacebookPasswordDecryptor uses different techniques to decrypt these passwords and present them in the clear text. Here is the research article that throws light on the internal password storage and encryption mechanisms used for storing the Facebook account password by some of the prominent applications. It also shows how to recover Facebook passwords from each of such applications. Facebook Password Decryptor comes with Installer to make it easier to install it locally on your system for regular usage. This installer has intuitive wizard (as shown in the screenshot below) which guides you through series of steps in completion of installation. Facebook Password Decryptor is easy to use with its simple GUI interface. Next click on 'Start Recovery' button and all stored Facebook Login passwords from various applications will be recovered & displayed as shown in screenshot 1 below. Note that Facebook Password Decryptor recoveres the stored Facebook password for currently logged on user only. If you want to recover the password for different user then you can right click and select 'Run as' to run it as respective user. 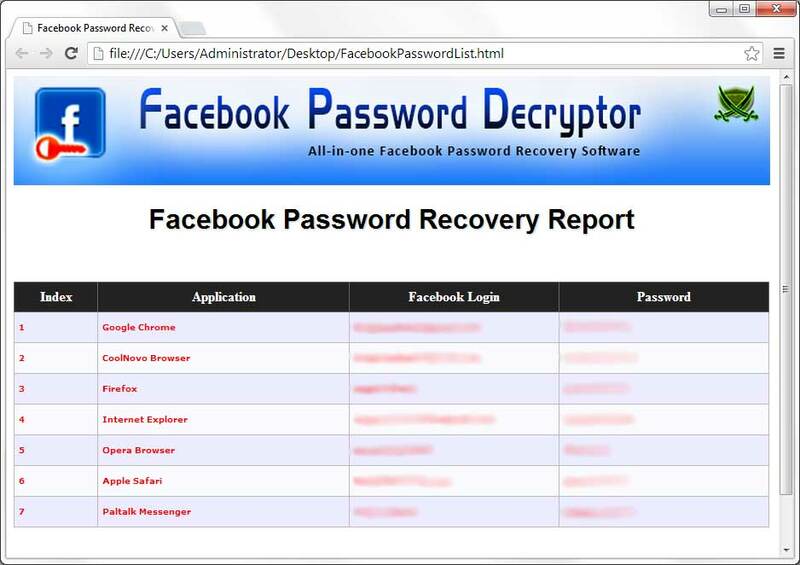 Screenshot 1: Facebook Password Decryptor showing the recovered Facebook password accounts from various applications. Major revision with support for recovering Facebook passwords from IE browser without history. Also fixed false antivirus alerts. Support for recovery of Facebook login passwords from ALL profiles of Chrome & Firefox browser. Major 2019 release with support for Facebook password recovery from new Brave browser. Fixed issue with antivirus false positive. Major 2017 release for recovering Facebook password latest version of top browsers. Mega release with support for facebook password recovery from new browsers like UC, Torch etc. Also integrated new installer design. Support for Facebook password recovery from latest version of all major browsers. 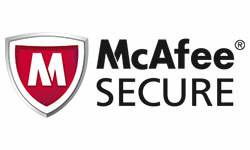 Resolved minor false positive issues with anti-virus solutions. Mega release with support for latest Windows 10 version. Also fixed the sizing problem with higher resolution computers. Fixed few minor bugs in Facebook Password Recovery from browsers. Integrated Uninstaller into Windows Add/Remove Programs. Fixed few minor bugs in Facebook password recovery operation. Added support for Facebook password recovery from SRWare Iron web browser. Renovated GUI interface with new banner & icon. New feature to generate password recovery report in CSV (Comma-Seperated Values) File Format. 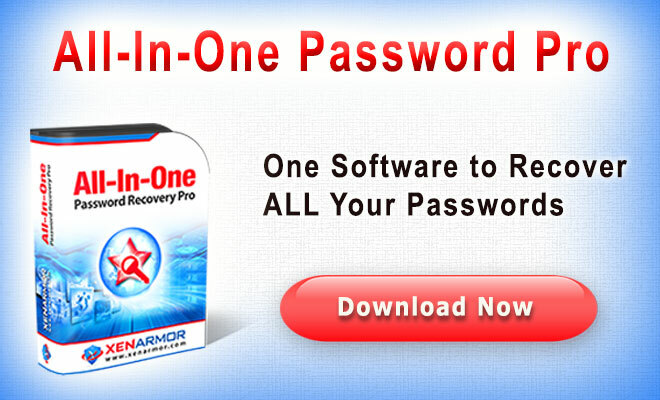 Support for Facebook Password Recovery from Comodo Dragon browser. New feature to recover Facebook login passwords from Chrome SXS, CoolNovo & SeaMonkey Browser. Displays Operating System version. Added New List icons for applications. Fix for screen refresh and broken report link problem. Right click context menu to quickly copy the password. Fix for Safari browser. Improved UI and reports. Now it shows passwords by default, user can hide it later through 'Hide Password' button. Also added direct link to web download location. Integrated Help button, Improved HTML report in both cmdline/GUI mode. Support for Facebook password recovery from latest version of IE (v9.0), Firefox (v10.0) & Chrome (v17.0). Report generation in XML format in both GUI & command-line mode. Improved user interface & reports with new banner. 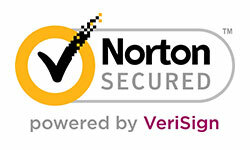 Updated new logo, added link for passwordforensics.com, few bug fixes. Facebook Password Decryptor is designed for good purpose to help users to recover the lost Facebook account password. Like any tool its use either good or bad, depends upon the user who uses it. However author is not responsible for any damage caused due to misuse of this tool.